March Madness is upon us, and while we try not to spend too much time watching the games, we can’t really help ourselves. During commercials breaks, we found the time to put together a list of our “Final Four” favorite custom basketball socks available at Socks Rock. Let’s take a look at the best basketball socks for hitting the hardwood! The Vitalus custom basketball sock has space for your logo on the front and features a basketball on the back. That means even if you’re not on the court, everyone will know what your sport is. If you’d like your basketball to look traditional, select orange as your primary color, but feel free to switch it up with yellow, blue, or over 20 other colors for something a bit more unconventional. It’s nothing but net when you wear the Crossover custom basketball sock’s unique look. A basketball net pattern hangs down from the top of this sock, making you feel like you’re ready to cut down the nets after a championship win. Choose orange as your primary color to maintain the illusion of a college or NBA net, or get creative with your favorite color. Show your opponents and your teammates that your shot is on fire with the Blaze custom basketball sock. This stylish, bold sock features a flaming basketball right next to your logo. 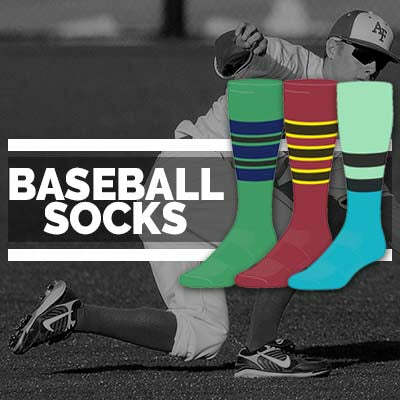 Add custom text to the top of the sock and the toe of the sock to send a message while your team dominates on the court. A cool double stripe around the top of the sock allows you to get creative with several different colors. The Vanguard features a basketball front and center against a vintage triangular background. Put your logo right above to show that your team rules the court. 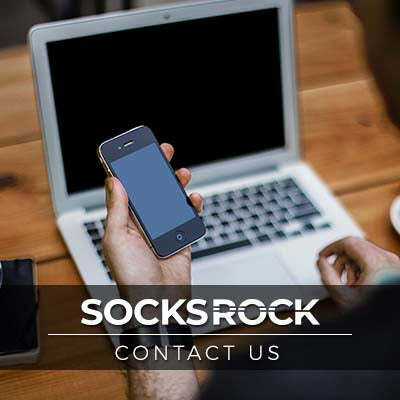 Place custom text on the bridge, heel, and back of your socks to get your team or organization’s message across. Embody the past, present, of future of basketball when you and your team step onto the court in this sharp look.